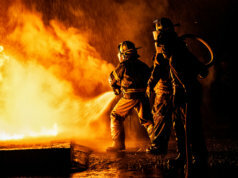 UPDATED Frictionless travel giant Uber has announced partnerships with NASA, the US Army, and OEMs at its Elevate annual conference in LA this week. Malek Murison puts the new deals in context. 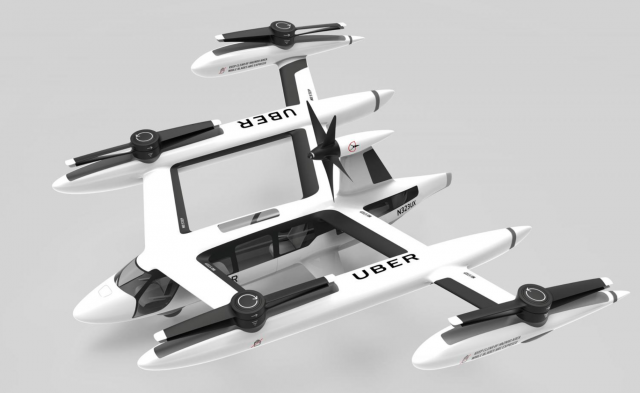 Uber’s annual Elevate conference kicked off in Los Angeles yesterday, at which the company has been providing further details of its ambitious proposed air taxi service, UberAIR. As Internet of Businesses reported yesterday, Uber sees the future of urban transport as taking to the skies in pilotless, electric passenger drones. 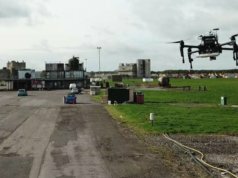 It published a white paper on the scheme in 2016, and is working towards a future of on-demand air travel being integrated with other networks via ports on roofs, or on brownfield sites near transport interchanges. Uber wants to have the technology basics in place by 2020, with commercial operations beginning in 2023, and is seeking a third city alongside Dallas and Los Angeles for the launch, to replace previous partner Dubai. 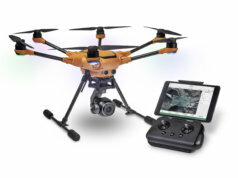 However, as Internet of Business reported, Uber and other western companies are trailing behind Asian competitors, most notably in China, where a less conservative approach to airspace is allowing vertically integrated companies such as Ehang to lead the way in passenger drone testing. There is competition in Europe and the US too, from the Intel-backed Volocopter project and Airbus’ rival Vahana, among others. But even with these and Uber’s many prototypes, most eVTOL (electric vertical take-off and landing) aircraft come with inherent safety challenges and multiple points of failure, especially if they are hackable or vulnerable to bird strikes. There are also concerns over how such vehicles would fit safely into crowded civilian airspace: autonomous airborne passenger vehicles would need to be integrated into a system that allows them to avoid each other, manned aircraft, and delivery drones – while putting human beings below at minimal risk. Most of the world’s millions of road accidents pose little danger to anyone not on the public highway, but it stands to reason that any mass air taxi service would present a very different set of problems. The challenge is significant, especially with questions rising over the competence of autonomous and/or computer vision systems, following the fatal accident involving an Uber Volvo in March, and the second fatality a week later involving a Tesla car running on its Autopilot software. 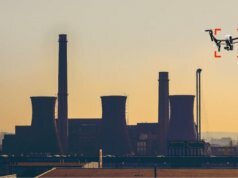 A similar failure in the air over a school, hospital, or power station could have much more serious consequences, suggesting that geofencing may be widespread in big towns and cities. Uber is seeking partner cities that have populations in excess of two million people. Uber plus NASA: the future of urban mobility? Which brings us to NASA. 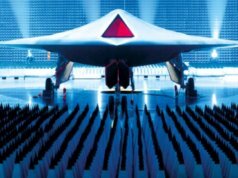 The agency has long been developing unmanned aircraft air traffic systems, with a view to integrating commercial drones and, potentially, flying taxis, into the airspace. In a move away from its usual modus operandi, Uber has signed a new deal with NASA as part of its flying taxi development. The company is famed for bulldozing the competition first and dealing with regulators later, so this is a welcome acknowledgement that the same tactics won’t cut it if Uber’s air taxi plans are going to take off. Uber and NASA have signed a second Space Act Agreement to “further explore concepts and technologies related to urban air mobility (UAM), to ensure a safe and efficient system for future air transportation in populated areas”. The US’ National Aeronautics and Space Act provides NASA with the authority to enter into a wide range of Space Act Agreements (SAAs) with partners to advance NASA’s own mission and programme objectives. The result will be Uber sharing its urban aviation plans with NASA, so the agency can see how they are going to play out using computer modelling and simulation techniques. The deal is the first NASA agreement to be focused specifically on modelling and simulation for unmanned aerial transport operations. “NASA is excited to be partnering with Uber and others in the community to identify the key challenges facing the UAM market, and explore necessary research, development, and testing requirements to address those challenges,” said Jaiwon Shin, associate administrator for NASA’s Aeronautics Research Mission Directorate. NASA’s concerns include safely, noise pollution, and air traffic integration. The agency’s simulations will guide Uber’s efforts to deliver a working product that takes all of these factors into account. In related news, Uber has announced a deal with the US Army to develop and fund joint research into quiet rotor technology. From an urban mobility perspective, near-silent air taxis would be preferable, but from a military standpoint, stealth offers other important advantages. The terms of the agreement state that Uber and the US Army’s research lab will together spend $1 million to develop and test prototype rotor systems for silent VTOL vehicles. Uber has so far announced partnerships with five separate manufacturers, as the search continues to find a company capable of delivering tens of thousands of units that operate with minimal noise, are powered by electricity, and are capable of taking off and landing vertically. The contenders so far include Brazilian aerospace company Embraer, Slovenia’s Pipistrel Aircraft, California-based Karem, Boeing subsidiary Aurora Flight Sciences, and Bell. Uber’s Holden summed up the company’s ambitions: “What started as a simple question, ‘Why can’t I push a button and get a ride?’ has turned, for Uber, into a passionate pursuit of the pinnacle of urban mobility,” he said. Uber’s scheme is ambitious, wide-ranging, and shared by fierce competitors. More, it relies not only on solving a range of technology problems, but also on solving its own cultural challenges. Earlier this year, Uber announced that its future was as an Amazon-style hub for all forms of connected transport, from driverless cars to electric bikes and existing public networks. These latest announcements suggest that Uber may finally now be growing up: good news, as the one thing Uber won’t be able to do in the skies is simply barge competitors out of the way and treat regulators and market incumbents with undisguised contempt.